Pretty soon the Iowa Board of Regents will need to explain its actions. A Polk County lawsuit by University of Iowa alumnus and former staffer Gerhild Krapf questions the methods used by certain Regents during the University of Iowa presidential search. Specifically, the suit takes aim at actions that appear to show favoritism to Bruce Harreld, the man ultimately awarded the job despite significant staff and community concerns and opposition. In the suit, Krapf says multiple private meetings afforded to Harreld — and not to other applicants — were violations of the state’s open meeting law. While there was no majority of Regents at any one meeting, she argues, the meetings were held close enough together to constitute majority attendance either in person or by proxy. The court will need to decide whether a series of meetings — each involving a minority of a governing body’s members — can be considered a direct violation of open meeting laws. They’ll also need to decide if the use of personal agents or proxies going between such meetings verifies an intent to influence or organize a majority. The suit argues that Harreld served as such a go-between on behalf of board President Bruce Rastetter. Attorneys for the state of Iowa requested the suit be dismissed this week, holding at the Iowa Supreme Court had already addressed these issues, but the dismissal was denied. Earlier this year, and in a separate case, Supreme Court Justices found current law prohibits government officials from utilizing proxies. “That opinion talks about shuttle diplomacy — the go-between of members,” said Gary Dickey, a Des Moines lawyer counseling Krapf. Although both sides of the debate are poised to push this question to the state’s high court, I think it is unlikely the plaintiffs will reach their end goal of ousting Harreld. But the fact that the case will proceed, and the state will need to defend at least one aspect of questionable Regent actions during the presidential search, is good news for advocates of government transparency and accountability. The Regents were well within their power to decide on a completely hidden search process. By law, all they had to do was deliver a name. 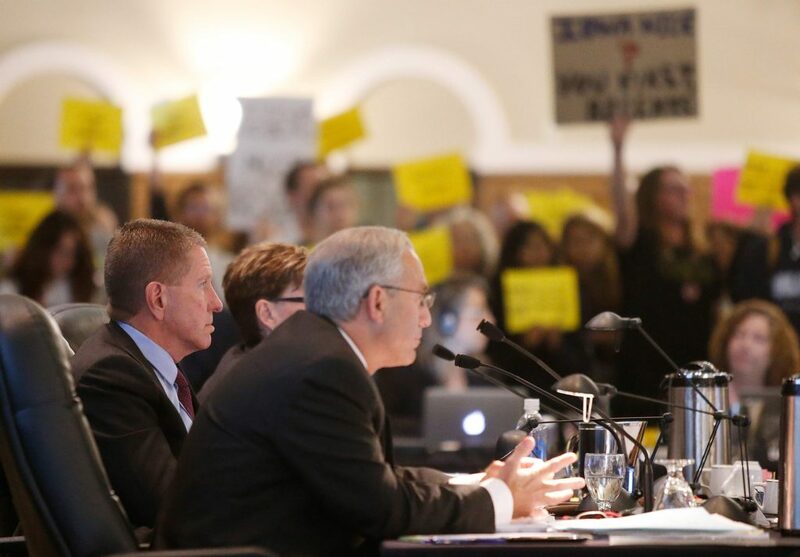 But instead of choosing that path, which no doubt would have met with stiff opposition, the Regents announced a very public and open search process. They hired a firm, established a committee and promised stakeholders a voice in the process. While the public show played out, Regents quietly undermined public trust. This suit may make them own up to it and develop policies that prevent future indiscretions.